The Strawberry Invest team have put down what we believe are the best ten tips for first time investors to consider. These are not a set of tips that will guarantee huge returns and a market beating portfolio, they are points of advice we think you should certainly consider before you invest your money. Having established that you’d like to invest your money you need to formulate a plan, taking into consideration a few questions: How much can I invest? What can I afford to lose? What is the goal of my investments? How long am investing for to reach that goal? Do I know all the relevant investment definitions and terminology? Understand your risk tolerance and how you would feel if you lost some or all of the money invested. A common mistake for first time investors is to believe they are more tolerant of loss than they actually are, so when riskier investments start to decline, they often panic and sell. Taking a considered approach to risk and reward will insure you invest in line with your capacity for loss. Remember, anything you do involves risk – this also includes holding cash as its buying power can be gradually eroded by inflation. When it comes to investing, you will likely start off with a relatively small pot and might think tax efficiency is not a major concern. Remember, investing is a long term strategy and you need to consider the potential value of your investments in the future. Consider you’re investing now for your retirement, by the time you reach retirement age you may have acquired a considerable pot. If you haven’t invested in a tax efficient environment like a pension then you may end up paying a considerable amount of tax. Insure you are aware of this when you open an account. As different markets rise and fall, a diversified portfolio of different types of investment funds can help to stablilise your portfolio over an economic cycle. Investing exclusively in particular markets, sectors or companies can leave you exposed to unforeseen issues occurring in one particular area. Investing across a range of asset classes, regions and sectors helps to mitigate potential loses and maximise long-term returns. The internet and media are full of punditry on shares or funds that are about to be the next best thing. Although these ‘tips’ can sometimes be insightful, be careful not to chase them and constantly change your portfolio to take advantage of them by picking suitable investments to add to your portfolio. One of the most influential investors of history, Warren Buffet said “It’s far better to buy a wonderful company at a fair price than a fair company at a wonderful price”. Though penny shares with their perceived potential for high returns through “cancer cures” or “prospective oil field” can be very enticing, you need to consider what the long term future value of the company is. Very small companies can be riskier purely due to the fact they may be less well regulated than the larger, multinational corporations. It’s false to think that taking increased risk guarantees you more money, you wouldn’t bet on a pony in a horse race. Investing little and often is sometimes better than investing larger lump sums. Researching investments has shown that even professionals find it is often better to invest regularly, rather than to try time the market investing a one off lump sum. In volatile times you may also benefit from Pound Cost Averaging, where by investing regularly, you seek to even out the highs and lows of the market. 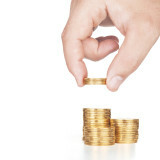 By starting to invest early and regularly you can take advantage of compounding. Unless you are looking for specific periodic income from your investment (see Income vs Growth Investments and Funds explained here)* then you might consider reinvesting any capital returned from funds or dividends back into your investment portfolio. History has shown that re-investment of dividends from equities vastly increases your returns over the long-term. Once you start investing, remember it’s a continuous process so you need to periodically review your investments, personal circumstances, timeframes and risk tolerances, as all of these will change over the course of time. For example, as you get closer to your goal you may want to reduce your exposure to riskier investments to try and secure your capital. 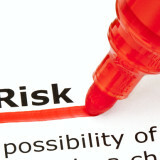 In addition to assessing your own personal risk tolerance, check your portfolio’s risk profile. As different top investments funds change in value it will adjust their weighting in your portfolio and this will affect the overall risk profile of your portfolio. Periodic rebalancing of your portfolio seeks to readjust this back to the desired level. Once you start investing for the first time you’ll realise it’s very hard to ignore the chatter about market movements, commodities, share tips, inflation, interest rates, dividends, gold price, oil price…it’s endless and is near enough constant with globalised markets. A true investor should be looking at long term trends and macroeconomic factors that originally shaped their plan and always keep these as their focus (you can view these in our DIY investor magazine).